Some .me domain names now resolving to “real” web sites. It’s one thing for a “new” domain extension to sell well when it launches (.eu, .mobi). The true test if a domain will retain long term value is if it is actually used and embraced on the web. As you know, I’m not a fan of .me. Yeah, it’s a cute play on domains. But once ICANN releases new top level domains, .me will just be “another domain”. A country code domain at that. .You, anyone? But to get an idea of what has happened to top .me domain names won during the auction launch (other than those lost at arbitration), you can visit Rewarding.me. The site has a “Dot Me Domain Status” tool that shows exactly how .me domains are being used. A handful of the top .me domain names appear to have active web sites according to the tool. But most of them are merely glorified “under construction” pages, affiliate sites, or forwarded domains. It had better be for the $68,005 Timothy Warbington plunked down for the site. 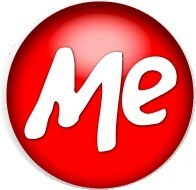 But there are a handful of truly active .me web sites listed on Rewarding.me. The site even lists the 346 .me web sites listed in the top 1,000,000 on Alexa. (Most of them are picture serving sites). Rewarding.me is certainly a useful tool. Has someone made a similar tool for .mobi so I don’t have to do it by hand? So it looks like .me is gaining a small bit of momentum. .Me domainers just need to hope that Montenegro doesn’t go through political strife. Will SXSW 2014 be known as the year of the domain? I can’t believe someone paid 69k for insure.me, should be interesting to see what happens when InsureMe.com gets a wiff of this. Hi Andrew. You can see a list of .mobi sites in the Alexa top 1,000,000, by visiting http://www.popularity.info and searching on ‘.mobi’. I’m seeing about 227 sites listed, 14 of which are in the top 100,000. Jay – I didn’t even think about that. Good point. This silly extension will be worthwhile the day that…O.K., yes; I am just kidding. I will start investing in .Me also. Will see how it go. @Maze yes but .Mobi launched over 2 years before dot.me!! If you look at new registrations last months. .Mobi HAS FALL in registrations from 956,412 to 903,301. .Asia has grown with 5000 a month. .ME has grow with 15000 a month!! Plus .Me have already double the web pages indexed in Google compare to .Asia. .Me also already have most web sites in the top 1 million web sites on the net. That’s sure is a buy sign to me. Me is one of the phenomenons of the domain world in 2008. To gain such traction with the auction sales, the registrations, and the development, is really amazing, especially considering that it was launched a few months before the global financial meltdown. Will dotme usurp the king, dotcom? Not a chance. But it will serve a niche as go to extension for the personalized web (great for blogging, web 2.0, web 3.0, microsites) and it has great branding potential. I too was a naysayer in the early stages, but it’s hard to argue with the facts. And this extension has pulled this off during the global financial chaos, without the hype, without the backing and sponsors of dotmobi. So, you know what — I’m pulling for ME. I may even dip into my pockets to buy a few on the aftermarket or at the domainfest auction. I have a massive dotcom and org portfolio with hundreds developed. I like this one and I will diversify. For the time being, .me does not show signs of fatigue in its evolution. There are still good keywords left to give a try at a registration fee. It is always better to start as intuition tells than, regret in a few years time when your keyword.me is sold at a nice price and tell friends “I was about to buy it”. For creative people, not just speculators .me is the chance to realize oneself if you opt not to buy a HJPZ7.com for a reg fee. As a doubter of many of the most recent extensions that popped up (.asia, .mobi) .me actually made sense in my mind. I talked to folks out side of domaining a bit about it (always a good test to see how outsiders react) and they really thought it stuck and was more brandable than anything out side of .com when it came to “web 2.0”. On that note I made some specific investments at both reg fee and in the initial auction that have received solid feedback while doing link building and partnerships while developing. Will it bypass .com anytime soon, NO, does it have a better chance than any of the others at being a brand that could be catchy and actually resonate with people outside the domaining community? The conversations I have had seem to say yes. I may purchase a few of the beauts; they are crying out to be developed. Could be a fun domainfest. Some great dotcoms and a few dotnet gem also on the bidding block. Be careful when trying to link to rewarding (dot) me. It crashed my computer; if nothing else, the webmasters need to streamline their pages so that they load easier. Ignore my last message; I tried again, and it loaded just fine. Whether you like it on not, .me is doing much better than .mobi and .asia. .ME jingles better, and hence is more appropriate for marketing and branding. More to come.